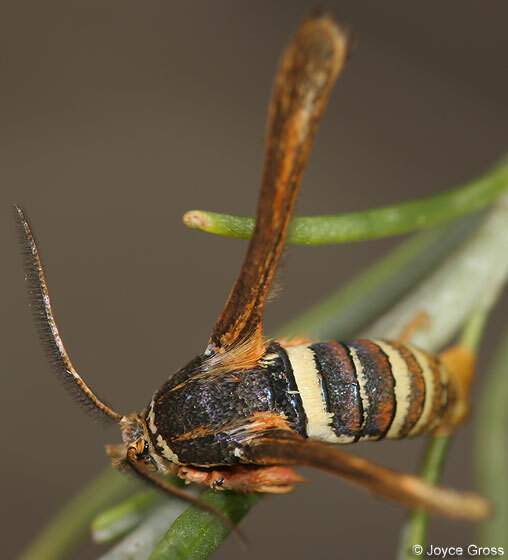 Is this a clearwing moth - family Sesiidae? What an excellent wasp mimic! The thumbnail fooled me. Colour and locality fit the description for Zenodoxus palmii, Hodges #2518. Larvae bore into species of the Malvaceae.